The Tweed Sessions were conceived as a series of events which would connect musicians with each other, musicians with tunes and songs, and tunes and songs with other songs and tunes. The overarching context was provided by the River Tweed or more specifically, important physical locations and produced spaces with symbolic significance such as the source and mouth of the river and Borders sites with historical or cultural significance. In addition it was decided to make use of, investigate, and develop if possible the culture and conventions of the traditional music session, its habitus if you like, celebrating in particular the culture of young people in relation to traditional music and how connections are established with more experienced players or players from different musical idioms. These were to be in effect sound gatherings – sharings or ceilidhs in the traditional sense of a participative social meeting where anyone and everyone is invited to do a turn should they wish to. To frame these gatherings within an art context was a less explicit aim given that the cultural weight of the sessions would lie on the side of musical expression and performative group dynamics, but the aim was nonetheless important to a way of thinking about art, art objects, artistic processes and about what might constitute a local and regional definition of socially engaged art. Early expectations were reasonable and none too ambitious: to ensure that the locations would serve as suitable venues, comfortable and amenable to good music- making; to attempt to celebrate the Borders repertoire in particular and within that project to explore what a Borders repertoire might consist of in terms of both musical material and styles of playing. The core of the sessions was to be young people from The Small Hall Band, a regional group of young people led by adults and experienced players which over the course of its performances and outreach activities has entertained all sections of the Borders community, on both sides the Tweed, and which has regularly produced professional musicians, many of which are currently making an impact internationally with their work. For a sparsely populated region with travel and communication difficulties we are well served in this respect. The Innerleithen session was played out at the Union Club within the context of the Innerleithen Music Festival. The Paxton event took place outdoors in the sunny courtyard of Paxton House. Another session at Berwick was held in a Bohemian-style café above a music shop, at Tweedsmuir in a remote village hall and at Fairnilee in an old mill next to the river, used nowadays as a fishing bothy. All were close enough to the river to be conceptually meaningful and each had its own specific importance within the working life of the Borders. For example Paxton House is a building of architectural and historical interest open to the public, Tweedsmuir a fine representative example of the Borders village hall, an essential cornerstone of many rural communities. Fairnilee is a historically significant working mill and a place of rest and repose for Tweed anglers. The Gordon Arms keeps alive regular music sessions in a relatively remote but historically significant corner of the Borders. Each venue affords the players its own unique acoustic properties and spatial architecture. As an educational or formative exercise, this is invaluable for young players as they learn to negotiate the idiosyncracies of given spaces, making best use of physical features to produce a successful listening environment. The ability to make a place sing is eventually a hallmark of good professionals. What emerged in terms of the social connections will ultimately be determined over time and is probably unmeasurable. People met, played music and enjoyed the experience. Now more people know each other than before and more musicians are aware of fellow musicians, again on both sides the Tweed. Without going into the small details of every session, in terms of repertoire the picture is more difficult to frame, though more interesting as a result. In researching the notion or fact of a Borders repertoire and gathering representative tunes I assumed initially that Borders musicians would meet and easily play Borders tunes all day long. But outside of the celebrated Border Ballad repertoire the notion of a specifically Scottish or Northumbrian Borders repertoire of tunes is arguably a thin one. There are of course several well known tunes associated with people and places, a common situation with respect to giving titles to older pieces. There are if you like two levels of autonomy here: one where a session is capable of playing (all night long) only tunes from the locale or wider region. This might be seen as a hypothetical construct, but I’ve attended sessions in Aberdeenshire, Shetland, Donegal, County Clare and Brittany where players have successfully challenged themselves to play only local tunes over long periods. The second level of autonomy is where the players (obviously) have a common bundle of tunes, but it’s their own bundle, specific to the Borders for example, and a different bundle from the tunes played at a regular Inverness or Fife session. So what we can conclude for certain is that there does exist, in common with every region I’ve ever visited in Scotland and Ireland, a repertoire of favoured tunes. Many of these are of Borders origin, others are contemporary tunes brought in from the cities and from overseas, having found their way into the sessions because a handful of young people devoted time to learning them. There are also a growing number of new tunes and occasionally songs of recent origin, written by very young players and by seasoned non-professional players, or ‘enlightened amateurs’ if you prefer. Without this group of devotees, sessions would run the risk of dying out completely as more and more professional musicans shun sessions in favour of paid performances. Although many tunes have passed through and circulated around the region, leaving their mark on local players, only a few are of local or regional provenance. The majority originate from the core session repertoires of Ireland and other Scottish regions, notably Shetland and the West Coast. Speaking of Shetland, there exists, on the face of it somewhat unusually, a strong link between Scotland’s Deep South and Far North, a relationship which has been strengthened in recent times by the Small Hall Band’s 2013 summer tour to Shetland and by regular ‘Shetland tune’ sessions in Yetholm. Although I’m not an expert in this field, I can see the similarities between Shetland and the Borders in terms of their relative isolation within a strong historical and cultural identity, though the similarities end there because of the fact of the Shetland’s island geography has enabled it to generate a distinctive home-grown repertoire throughout the mid- to late-20th century, strengthened considerably as notable players have emerged and become ambassadors for the islands’ music. 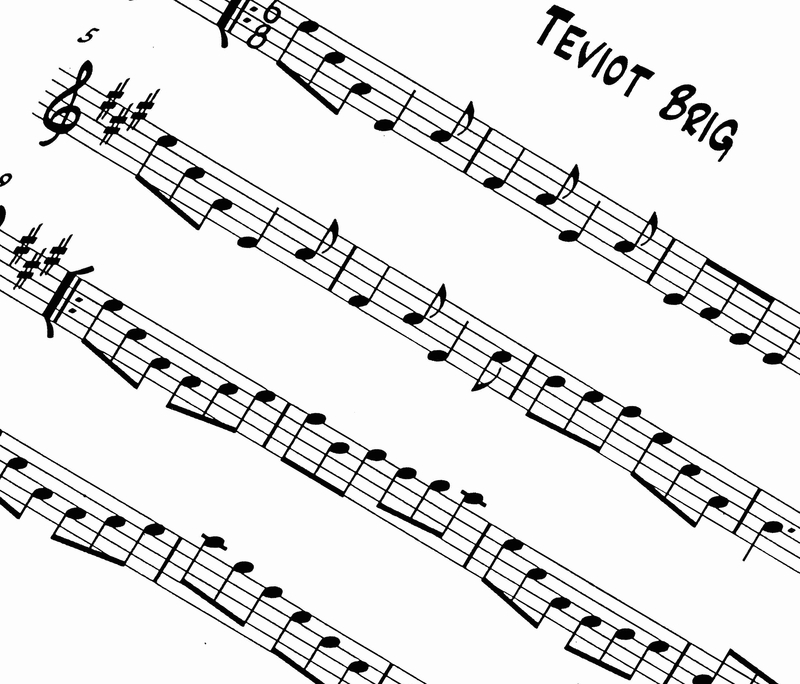 Finally, though this would need further research and field recording analysis, elements of the clarity, accuracy and metrical rigour of Shetland fiddling have found their way into the playing of several young Borders fiddlers. This is very much as it should be. Having said all that, certain Borders tunes and songs did emerge as popular across many of the sessions: The Fair Flower of Northumberland (at Innerleithen in particular) and the tunes Teviot Bridge, Roxburgh Castle, Lindisfarne, Kale Water and The New Road to Bowden. Scottish Borders Council has been prescient in funding traditional music officers and teachers in both song and instrumental tuition. These tutors are of the very highest calibre and have been responsible for keeping the tradition alive. 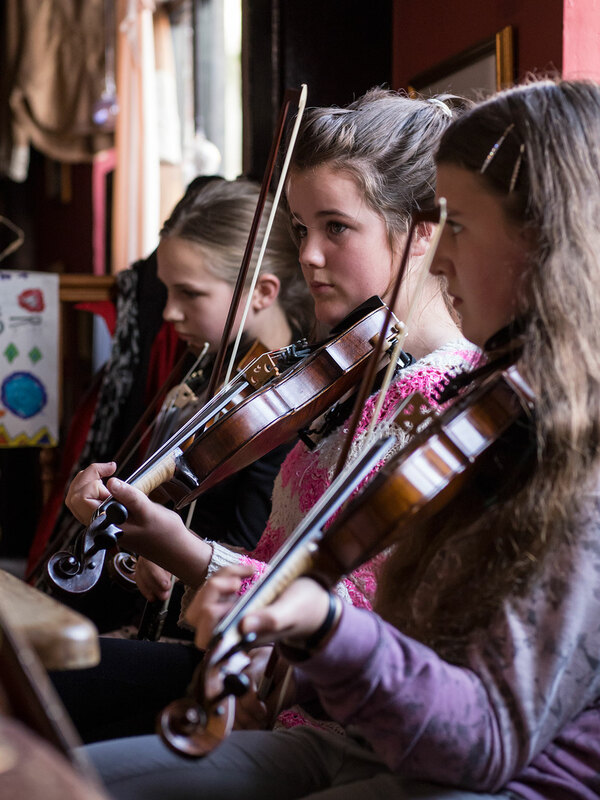 The funding of peripatetic tutors became the catalyst which set Shetland up as a major location for their own and visiting young people to learn traditional music. The Borders is very much a place of flow and passage, more so than Shetland, and as such it has different mechanisms for absorbing outside influences as far as the instrumental repertoire goes. The quality of cultural flow has been influenced, positively in my opinion, by the proximity of Universities, in particular that of Newcastle, which teaches traditional music to degree level. Young people are studying, learning, then returning to the Borders to teach and regenerate the culture of traditional musical as new generations of yonger players emerge. This is a living tradition, visible at many of the Tweed sessions as tunes were passed around, learned, relearned, combined, modified, confused and rearranged, again as one would expect from any healthy traditional musical culture. Finally, some reflections on knowing and moving along the river, thoughts which would sit comfortably in a more poetic discourse about the river. I’ve found myself regularly moving from an attitude of detachment to one of engagement with the river. I’ve spoken with others, river professionals and artists, about this very ordinary but nonetheless delicious dialectic and have discovered that such an oscillation of attitudes towards the river is common to all who fish around under the surface, both literally and figuratively. From analysing and rationalising we find it refreshingly simple to wander off into less rational thinking about how the river functions as an imaginary as opposed to a materially produced space or process. I’ve heard talk of the river as a vehicle or organic entity which carries the sounds of the tunes from source to mouth and I’ve overheard notions of fish and other animals carrying vital and creative energy from mouth to source and back upriver. As we sat in Fairnilee bothy, warm and glowing from the music, all the time listening beyond to the river raging a few feet from where we sat, some of these ideas were elegantly expressed by one of the company whose ‘turn’ was a short spoken contribution about how workers at the mill might well have sat and played fiddle for relaxation during their break, no doubt ‘playing off’ against the sound of the river and the ambient environmental soundscape. This thought turned to how the sessions have taken the music upstream and and down again, how the river has been the means of musical transportation, how the sessions and the river have merged in encouraging us to listen to the river in new ways, that same river, always visible as we walk or drive around the Borders. Reflections like these encapsulate the ethos and perhaps even the aesthetic of the sessions, above and beyond considering music as simply tunes and songs, ultimately empowering and lending added value to the whole exercise. 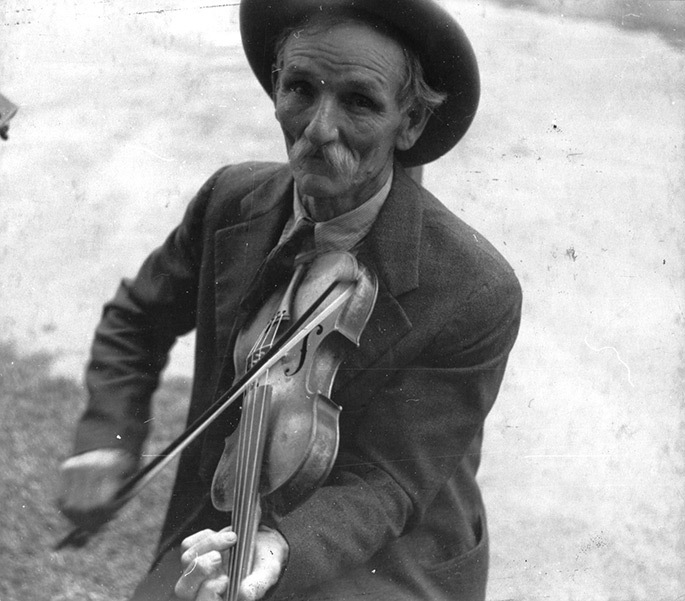 Music is the art of sound and traditional music in particular, recursively re-embedded into the environment from which it arose, in this case the land and its rivers, offers us not only a material content – the tunes and their instrumentation – but also a profound semiotic content in offering to player and listener alike what it is that these tunes and songs represent in relation to the land and the rivers, and in what the land and its rivers mean to the people. Are you interested in the traditional song and music of the Borders region? Would you like to participate in a series of sessions along the Tweed throughout 2013 and into 2014? If so, you’ll be interested in The Tweed Sessions, a series of six traditional music sessions, and one of the main strands of our Working the Tweed project. These sessions, which will take place throughout 2013 and into early 2014, aim to celebrate the music and song of the Tweed catchment in particular, and of the Borders region more generally, meaning ‘both sides the Tweed’. We will be holding these sessions at various locations along the Tweed, inviting along local musicians and members of the public. All are welcome to attend and all events will have both dry weather and wet weather plans. Please pass on details of these sessions to friends and colleagues and do get in touch if you plan to attend. We look forward to meeting you at the sessions. 28 September 2013, afternoon at Berwick-upon-Tweed, location to be decided. We’re delighted to be welcoming the Northumbrian Ranters to this session.